Some of you may not not know this, but before I started this blog I was working on a novel for teens… in fact, I started blogging because I encountered writer’s block about 150 pages in! Young Adult (known as YA) has always been one of my favorite literary genres, and I’m not ashamed to admit that while I’m no longer a “young adult” I still love to curl up with these wonderful, often emotionally charged books. What most of you do know about me is that I also LOVE history, and the YA historical genre has really taken off in recent years. I’ve been taking more time to read lately, rather than binging on Netflix… which, while always fun and entertaining, is not a very productive use of my time. I created the Bookshelf section of my website to share some of my most recent reads with all of you. They won’t always be YA, but they will almost always have a historical component… because that’s how I roll! The first novel on the Bookshelf is Da Vinci’s Tiger. It was written by L.M. Elliott and published in 2015. 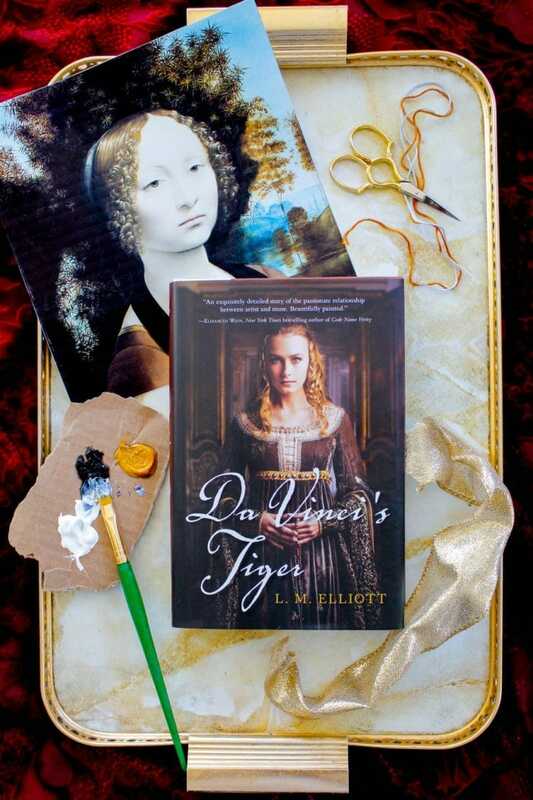 The book takes place during the Florentine Renaissance and focuses on 16-year-old Ginevra de Benci, the subject of a famous portrait that was painted by a young Leonardo da Vinci. (For those of you interested in da Vinci’s eating habits I recommend taking a look at this post I wrote a while back). Historical fiction is a somewhat tricky genre– writers in this space must love research. In order to write a fictional story that takes place in a historical setting, one must remain true to the time period. This requires quite a bit of detective work– the further back in history you go, the more you must dig in and learn everything about that period. From daily life to politics to conflicts to gender roles, many details must be explored in order to create a believable setting and characters. 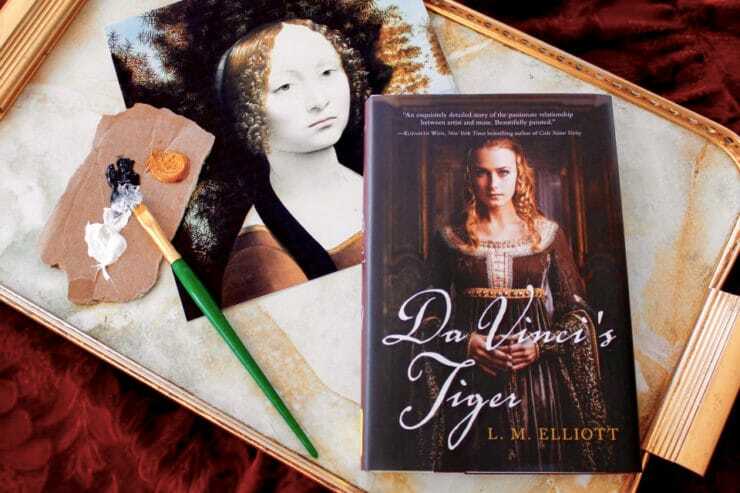 In Da Vinci’s Tiger, Ginevra is portrayed as something of an early feminist – a poet and lover of art who wishes to create her own space in the world. The title comes from the only remaining line of Ginevra’s poetry, which translates to “I beg your pardon, I am a mountain tiger.” She longs to share her poetry with a creative audience, but shies away when she is given the opportunity for fear that her inner thoughts will not be well received. During the 15th century a single misstep had the power to reflect poorly on one’s entire family, so discretion was of utmost importance. Ginevra is married to Luigi Niccolini, a wool merchant, in an arrangement negotiated by her uncle. When she first meets Venetian ambassador Bernardo Bembo, he is immediately struck by her beauty and takes her on as his “platonic love.” These kinds of platonic arrangements between wealthy gentleman and ladies were a cultural phenomenon of the Renaissance. They were typically conducted over long distance; it was believed that if a man could keep his relationship with a beautiful woman strictly platonic, meaning “look but don’t touch,” and if he truly believed that her physical beauty was a sign of her virtuous spirit, that his soul would be purified. Ginevra’s portrait was da Vinci’s first portrait and likely his first commission. It was also the first Italian portrait to feature a woman with a three-quarter, forward-facing pose; past portraits portrayed women in profile. The simple fact that Ginevra agreed to break traditional portraiture conventions by facing forward could very well be a glimpse into her true feminist nature. It was also one of the first paintings done in oil rather than tempera, the popular paint of the time made with a base of egg yolks. Tempera was very quick to dry and difficult to work with, however oils were something entirely new and difficult in their own way. The original portrait now hangs in Washington, DC’s National Gallery of Art. This novel focuses on Ginevra’s character more than da Vinci, but it does allow some insight into what might have transpired between the famous artist and his subject. I’ve been fascinated by art and art history from an early age, thanks to my artist grandmother whom I would paint alongside as a child. 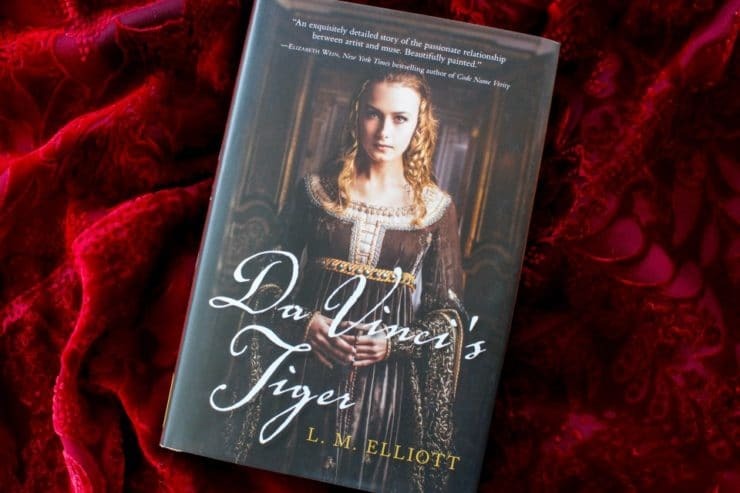 I had high hopes for Da Vinci’s Tiger, as it covers many of my interests – art, history and the YA genre. I was not disappointed! This was a fun read. If you’re interested in reading more about the history behind the novel, visit LM Elliot’s website here. Do you have a historical read you would enjoy seeing on my Bookshelf? Please let me know in the comments! Jane Ziegelman wrote 97 Orchard which is “an edible history if five immigrant families in one NY tenement”. This tells the story of who lived in this lower East Side building from 1863 – 1935 from the perspective of the food they ate. Their nationalities were German, Russian, Irish and Italian. Each group viewed food in a different manner. Very interesting book and a worthwhile read! I haven’t read this book yet, but it’s now on my TBR list! I have long been a fan of da Vinci for a number of reasons, one being I was an art major in college. I love that time period as well. Thanks for the recommendation. If you’re looking for a more recent YA historical fiction pick, Moon Over Manifest by Clare Vanderpool is excellent, or anything by Deborah Wiles. You may remember me. We met at the SCBWI Summer Conference in 2009 in Krista Marino’s YA Voice workshop. If you want to start up another small critique group, let me know. Love your new web site, and all that you do. Of course I remember you Elizabeth! Thank you for the book recommendations.